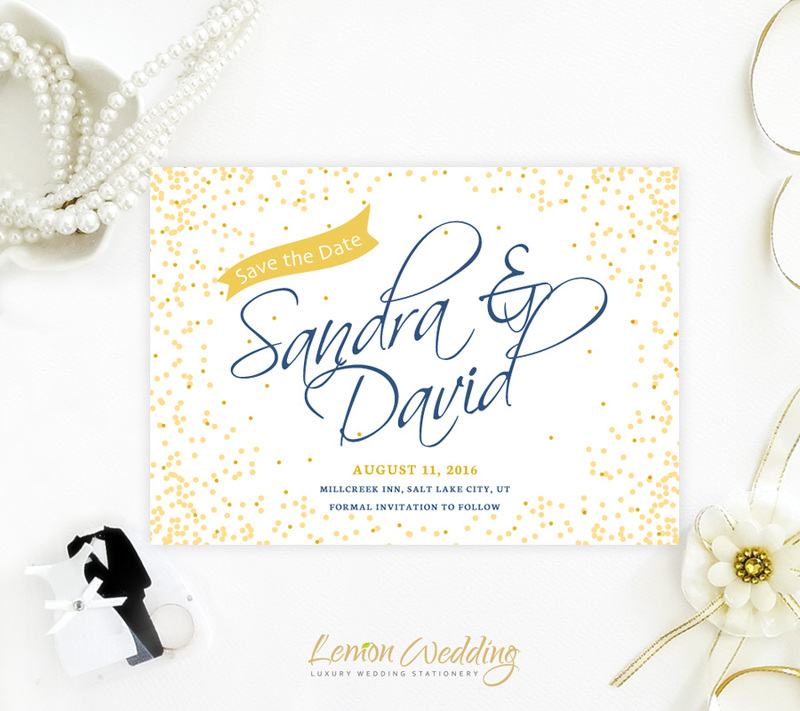 Elegantly deliver the news of your wedding date with our Cheap Save The Date Cards printed on luxury shimmer paper. Decorated with a gold confetti border, our cards will showcase you and your spouse's names along with the wedding date and location. Click on "ORDER NOW" button. (30 cards is a minimum order). Include your wording in the "text box". You may provide any wording you like. Finalize your purchase. We accept all major credit cards. Your payment is processed securely by PayPal. Personalized digital proofs will be sent by email within 24 hours after your purchase. you are absolutely happy with the result. 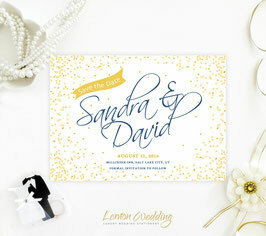 Save the date cards color and text can be changed to coordinate with your event. 2-3 days after your final approval. Shipping takes only 3-5 business days. Save the dates will be carefully packaged, to insure you will get them in excellent condition. you provided at checkout, so please make sure it is up-to-date and correct!